BJ CK7520 CNC eszterga - CNC gép, kábelvédő, fúrótömlő; Kutenich Kft. 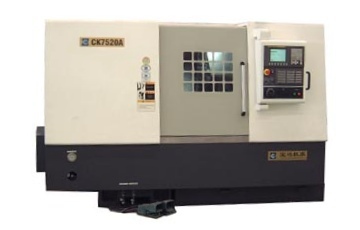 The CK7520 lathe is offered in five versions: CK7520, CK7520A, CK7520B, CK7520C and CK7520/1000. The maximal turning length can be 530 mm (for CK7520/A/B), 750 mm (CK7520C) or 980 mm (CK7520/1000).